How Much Compensation For A Rib Injury Or Broken Ribs Claims? Rib injuries are among the most serious injuries a person can suffer. Consider for a moment that the function of the ribs is to protect the lungs and heart from damage. Loss of function of either of these vital organs will result in almost immediate death. Therefore, the ribs are a critical part of the body, and if they are damaged due to an accident that was not your fault, you may well have a legitimate reason to claim compensation for your rib injury. A guide to rib injury or broken ribs claims. What is a rib injury accident? Rib injury accident at work claims. Rib injury slip trip or fall claims. Rib injury in a car accident. Rib injury in a public place claims. What can be claimed for after an accident causing a rib injury? The most common types of rib injuries. Assessing the severity of a rib injury. My child broken/injured rib in school do I have a claim for compensation? How much compensation can I claim for a rib injury or broken ribs claims? Starting your rib injury accident claim. No win no fee rib injury or broken rib claims. Why choose us for your rib injury or broken ribs claims service? If you have suffered a rib injury that was through no fault of your own, then you may be able to claim compensation for it. When it comes down to rib injury claims UK solicitors can help you claim compensation from your employer if the accident happened at work, or from the party responsible for the accident such as a private company or the local authority. From simple broken rib claims through to complex claims based upon compound injuries, the basic process for receiving compensation is the same. So, in this guide, we will explain how the process works for claiming compensation for a rib injury. We will cover what types of compensation can be claimed for a rib injury as well as how much might be claimed. We will walk you through starting your personal injury claim for a rib injury, and also explain our No Win No Fee rib injury claims service. A rib injury is any injury that causes a break, fracture, tissue damage or bruising to the ribs or the supporting structure of the rib cage, such as ligaments and cartilage. Rib injuries are generally rather painful, due to the fact that the ribs are constantly flexing as the sufferer breathes in and out, and the lungs inflate and deflate. Despite employer’s best efforts, accidents in the workplace are a common event. Standards laid out by the Health & Safety Executive help to mitigate the danger of serious accidents at work, but they are less than perfect. When an employer fails to maintain a healthy, safe working environment for its staff, which leads directly to a rib injury, then a cause for claiming compensation will exist. If a victim is seeking a settlement for fractured ribs that were caused by an accident at work, and the employer is responsible for the accident, then it is likely they will receive compensation. The settlement value of broken ribs will always be different on a case by case basis, depending upon the amount of suffering the employee has undergone, and the value of out of pocket and future monetary losses due to the injury. However, we can help you claim the most compensation possible for your work-related rib injury. Use the contact details at the bottom of the page to get in touch with us and learn how we can assist you in claiming damages against your employer. Slip, trip or fall accidents are the most common of all accidents in the UK. If such an accident results in a rib injury and the accident can be proven to be the responsibility of a third-party, then a valid reason to claim personal injury compensation will likely exist. If the accident took place in a publicly accessible place that is owned or operated by a private company, which had a responsibility to keep the location safe, then a cause to claim compensation will exist. For example, if a supermarket has failed to clean up a liquid spillage on the floor, causing a customer to slip and injure a rib, compensation can be claimed. Similarly, if a slip, trip or fall accident causing a rib injury happens on a public thoroughfare that is the responsibility of the local authority to maintain, a reason to claim personal injury compensation for a rib injury will exist. For example, if a public pavement has been left to deteriorate, with cracked and uneven paving slabs causing a slip, trip or fall resulting in a rib injury, then the victim can claim against the local council. If you have been the victim of a rib injury due to a slip, trip or fall accident, then contact us to find out how we can begin helping you to make a personal injury compensation claim. Car accidents and other forms of road traffic accidents are the single most common cause of serious injuries sustained in the UK each year. Unsurprisingly, due to the fact that a car steering wheel lines up almost perfectly with a person’s chest, rib injuries are frequently sustained in a car accident. Air bags can only do so much, especially in high-speed accidents. If you need to claim compensation for broken ribs in car accident, we have plenty of experience in these types of cases. Even slight injuries if caused by reckless or dangerous driving of a third-party can successfully be claimed for. A bruised ribs injury claim is one of the most common types of claims we see. We use the term “public place” to describe any location that is either permanently or temporarily accessible by members of the public. In reality, every public place is owned or managed by a private individual, a company, or a government body such as a local council. In the case of accidents occurring in a public place, which lead directly to a rib injury, then whoever the location belongs too, is likely to be liable to pay compensation. For example, if you are injured in the car park of a large supermarket, either through the actions of another individual or due to inadequate safety precautions being taken by the supermarket operator, then there will be a reason to seek compensation for the rib injury. General damages – in this category we cover all the actual physical aspects of the injury. This includes all of the pain and suffering, as well as mental and emotional trauma, and the long-term effects of the injury which may have a negative effect on the quality of life of the victim. Medical costs – if you have had to pay for treatment of the injury out of your own pocket. Rehabilitation costs – if you are facing long-term treatment and therapy to assist in the recovery from the rib injury. Care costs – if you cannot take care of yourself fully, and need either care in the home or must spend some time in an institution. Loss of earnings – if the rib injury has, or will make you lose income. Other hardship – such as having to cancel a pre-booked vacation or another important event due to the rib injury. These are the most common types of compensation that compounded, will likely make up the basis of any damages claim following a rib injury. Car crashes and other motor vehicle accidents – we covered this cause in its own section above because it is the single most common cause of rib injuries in the UK each year. Being crushed – a very common form of industrial or work-related accident that can cause a serious rib injury. Operators of heavy machinery and equipment, or those working in an environment such as a warehouse, are prone to crush injuries that can damage their ribs. Sporting accidents – for people who take part in heavy contact sports such as rugby or football, the risk of sustaining a rib injury is fairly high. Specifically, bruised ribs and other mild injuries. Falling from a height – for people who work in jobs such as window maintenance or high-level construction, the risk of damaging ribs through a fall, even from a modest height, is quite high. Physical assault – people who are attacked by another person or group of people, will often come away with bruised or broken ribs. This is especially true if they are forced onto the floor and kicked in the chest. These are just some of the many ways in which a rib injury can be caused, there are many more, but these are the most common. Any injury, no matter how trivial it may seem, can have serious, long-term effects. For rib injuries, this includes damage to the heart and lungs. If you have suffered a rib injury it is important to get it treated straight away. If the rib injury is going to form the basis of a compensation claim, then this treatment needs to be clearly documented. Additionally, any potential long-term negative effects of the rib injury should be documented by a medical professional. Once the severity of the initial rib injury and its long-term effects are known, it becomes far easier to discern just what types of compensation can be claimed for. Additionally, it will also become apparent at this stage whether any long-term therapy will be needed to ensure a full recovery from the injury, which will also make up part of the compensation claim if it is required. The simple answer to this question is yes. Whenever your child is on school premises, it is the responsibility of not just the school staff, but also the school operator to ensure that the child is safe at all times. Negligence by the school’s staff – when employees of the school fail to carry out their duties effectively, leading directly to an accident involving a child. Negligence by the school’s operator – when the controlling entity of the school has failed to provide a sufficiently safe environment for children, such as failing to maintain playground equipment sufficiently, leading directly to a rib injury. No matter how the accident that caused a child to sustain a rib injury at school occurred, somebody was responsible for the circumstances that allowed it to happen. 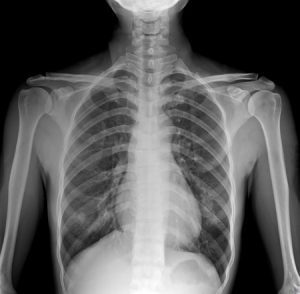 A viable case for claiming compensation for a child’s rib injury against the school will exist. Scarring of the Chest Chest scars when caused by a rib injury, such as a broken rib puncturing the skin. £5,950 to £17,275 depending on the severity of the scarring and whether the sufferer is male or female. Please note that this table only covers compensation that falls into the general damages category. It does not include special damages, which in most cases, will add more to the payout for a rib injury. If you are ready to go ahead with your rib injury compensation claim, we can make it as simple as possible. All you need to do is use the contact details at the bottom of this page, and get in touch with us. We will go through an initial fact-finding session with your, to learn the specifics of your particular rib injury claim. We will need to know how the injury happened, and what the prognosis for long-term negative health effects are. We will also need details of any financial loss or out of pocket expenses that have been incurred as a direct result of the rib injury you have sustained. If there are any other special circumstances you feel are pertinent to our personal injury claim, this would be the perfect time to let us know about them. Once we know all the facts of your rib injury, we will offer some advice on what to do next. In most cases, this will see us offering to take on the compensation claim for a rib injury under a No Win No Fee agreement. Pursuing any type of legal action by funding it out of your own pocket can be expensive. Legal fees have to be paid, often in advance and if you lose your case, then the money you spent actioning it is forfeit. We have come up with a much better way for people to pursue compensation for a rib injury. We can offer a No Win No Fee or Conditional Fee Agreement instead. What this means, is that we take on your personal injury claim for a rib injury, without you having to pay a single penny. There are absolutely no costs to pay whilst we are pursuing compensation on your behalf. And in the unlikely event that we fail to win you any compensation for your rib injury, then you won’t have to pay us anything. You will only pay us a fee if we successfully procure a compensation payout for your rib injury. So, you really have nothing to lose, contact us right now so we can help you to secure the compensation you are entitled to. We treat every one of our clients with respect and understanding. No matter how large or small our potential fee may be. We use simple English to explain the specifics of your compensation claim and keep you updated on its status. We won’t confuse you with legal jargon. We will always try to get you the most compensation we can. However, in doing this we will never do anything that may put the legitimacy of your personal injury claim in jeopardy. We are a company that is committed to providing our clients with an exceptional customer experience. Each and every client is important to us, and are treated with the due care and attention that they deserve at all times. Have you recently suffered a rib injury due to an accident at work, on the premises of a private company, or in a public place? If you have, then we can almost definitely help you to claim compensation for your rib injury. You may call us on 0800 073 8804, use the web chat feature of this site, or email us directly. We will then begin to help you claim the compensation that is rightfully yours for the rib injury you have sustained. And best of all, we will usually undertake this under a No Win No Fee agreement, you won’t pay us a thing unless we actually win your claim for you. This is the National Health Service page that covers all types of rib injuries from slight bruising through to multiple fractures. It can help you to diagnose your rib injury, and it also offers some excellent advice on how to treat the pain of a rib injury at home. However, if you intend to make a personal injury compensation claim for your rib injury, then you must get it treated by a doctor so that the injury is documented. Car Accident Claims – Find out How Much Compensation You Can Claim? If you have had a car accident find out what you can claim for and get free legal advice contact us today.